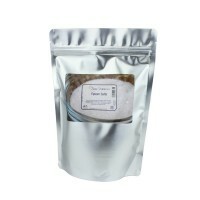 A deodorising, antibacterial foot gel with Aloe Vera, Seaweed, Witch Hazel and pure essential oils of Cypress and Lime. 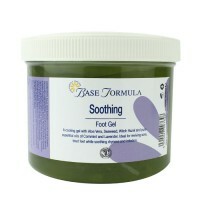 Ideal for revitalising the feet and legs and supporting circulation. Our Foot Spa Massage Gel is blended with Aloe Vera, Seaweed, Witch Hazel and Cypress and Lime essential oils to refresh and revitalise the feet and legs. Witch Hazel has anti-inflammatory and astringent properties that can help to reduce swelling and excess sweating. 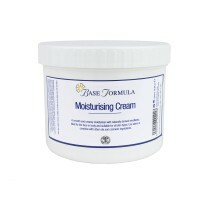 It can also be helpful for soothing and repairing dry, cracked skin. Cypress essential oil has antiseptic and deodorising properties that are ideal for cleansing and refreshing the feet. 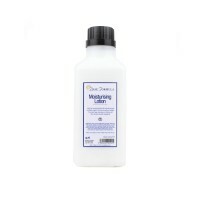 It is very astringent which makes it particularly useful for sweaty feet. It can also be beneficial for varicose veins as it helps to support the circulatory system. Lime essential oil has antiseptic, antibacterial and astringent properties. It also boosts the circulation and may be helpful in treating cellulite. 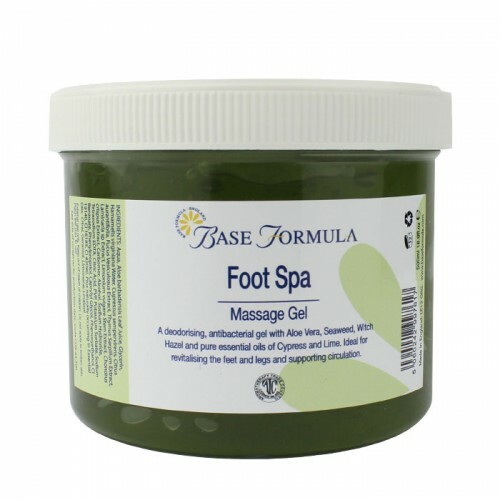 Our therapeutic Foot Spa Massage Gel is perfect for refreshing tired, swollen or sweaty feet. It is particularly good for people in sedentary occupations, where prolonged sitting can lead to heavy, puffy feet and ankles. The foot gel can also be used as part of professional pedicure treatment for massaging the feet and lower legs, or for a revitalising foot massage. Massage into the feet and lower legs in an upwards direction towards the heart. The gel may be applied, very gently, over varicose veins. You can use gentle massage above the site of the vein, but never below, as this will increase pressure on the vein. Do not use Foot Spa Gel during pregnancy.